Life Coach Certification Program (Online Classes With Private Instructor Support). What if in 10 weeks your life could be totally transformed? Through this training program you have Dr. Shauntel available as a private trainer, mentor, and coach! She has over a decade of wisdom and experience in the coaching profession! She understands exactly where you are and knows how to get you where you desire to be! This Program Offers: Flexibility, Freedom and Live Support! Classes are conveniently recorded for you! This program provides you with the foundational coaching information that you need to know for successful coaching. If you choose an advanced certification program, it is a build upon to this life coach training and certification program. If you are interested in an advanced certification in the area of Christian Life Coaching, Girl's Self-Esteem Coaching, Lifestyle Wellness Coaching, Youth Life Coaching, or Women's Inner Power and Purpose Coaching, you must complete the foundational coaching program first. The online class has limited space for 8 students only. This is so that you can receive the personalized attention you deserve. You need a program that you can complete regardless of your time zone. You want the benefits of a live coach training program with the convenience of an online program. You want the opportunity for live support when you need it to enhance your online learning experience. You want to learn online, but you don't want to feel alone during your learning experience. You have a busy lifestyle and you need a program that caters to your specific needs. You have a passion to inspire, motivate, support and empower others to succeed. You want private and personalized access to the trainer for any specific needs you have. You need a flexible program that works around your schedule so you don't have to miss work or family time. You desire continued guidance and mentoring from the trainer even after your program has ended. You are committed and disciplined to achieve your dream of coach certification and you are ready to go. Here at The CASE Institute there is no need to work your life around school, you can work school around your life! Our training programs are designed to fit your specific needs. We give you power and freedom through a flexible certification program. This program provides you with a blend of online learning, and personalized trainer support. Through this high quality online program you can fit your coaching education into your busy schedule. This is a great opportunity for busy moms, those who work, or those who have other personal or professional obligations. Your coaching certification is waiting on you, all you have to do it take the first step. Complete your program, around your lifestyle, and fulfill your dreams! This accelerated, content packed program is an exceptional learning format that has captured the best of both learning environments (teleclasses and online) by blending online learning, trainer led recorded classes, live coach mentoring, e-mail coaching during your training program, and access to personalized attention from the trainer. This program can be completed in 10 weeks. Our trainer has worked diligently to provide a world-class training program that works for you. She understands that you may not be able to take time out of your schedule to attend live classes so she created this amazing opportunity for you. You don't have to worry about missing any classes. There is no time away from home, or work, no travel fees, no required meeting times, and you study according to your schedule and not ours. Through this program you will receive training through weekly online downloadable recorded classes (MP3 format) and weekly downloadable lesson modules. You will listen to your trainer led recorded class at a time that works for you (within that week that you receive your information), according to your schedule. You will feel as if you are sitting down with the trainer in powerful training sessions. You will learn exactly what you need to succeed, on your time. Your recorded classes are no longer than 2 hours in length. Do you need a accelerated program to jump-start your coaching career? Train from the comfort of your home. Study in your pajamas, at the park, or at your favorite resturant.Our online/recorded class program is specifically and uniquely designed to meet the needs of busy adults who need a convenient, high-quality, personalized training program that does not interfere with their schedule, work hours, family life or other responsibilities. Our accelerated program provides you with the key information that you need to know to be a successful coach, and to successfully launch a coaching practice. We have excluded any unnecessary information that is not time sensitive. Our program will allow you to get trained and begin changing lives quickly. Even though our program is accelerated, it is content packed, professional and high-quality. We understand that not every ones learning needs are the same, so we have this convenient leaning format for you to complete your training and certification. Our online/recorded class program is customized just for you. For a very affordable investment you have the opportunity to choose an additional advanced certification. This will provide you with a dual certification opportunity. You may choose another area you are passionate about. You may make your choice on your registration form. 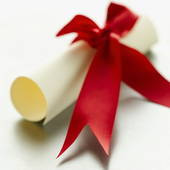 When you graduate you will have two certifications. If you are choosing an advanced certification you will have additional modules and audios. This will add 15-20 additional training hours to your certification program. Choosing an advanced certification is optional. You will receive your recorded class through a download, you can click and listen to the recorded class right from your computer, or download your class to your favorite MP3 player. You will log into your user friendly online student center weekly to download your training materials (recorded classes and modules). The only thing you do is log in and click and listen and read or download to read and listen later. It really is that simple! Many of our students create a 3 ring binder of their program modules. This is great not only during your training, but after your training as well for future reference for years to come. The only thing that you will need for class is internet access, an e-mail address for the trainer to communicate with you, and adobe reader to download your modules. If you don't have adobe reader you can download it here for free http://get.adobe.com/reader/ this will allow you to download your modules in PDF format. You will need to dedicate approximately 2-3 hours a week to studying materials, homework assignments, and practicing your coaching skills. Our program is concise and thorough, but these additional benefits have been included for you just in case you would need any additional guidance or support. The coach training support package is designed to assist with your success as a coaching student and as a coach. Even though you are an online coaching student you will not be on your journey alone. You have a personal mentor there to assist you every step of the way. You have an abundance of support available to assist you to be the best coach that you can be. Your package benefits are listed below. The Purposeful and Profitable Coach Blueprint is unique to The Character and Self-Esteem (CASE) Institute. It was designed to help you unleash your purpose and profitability as a coach, and inspire you to move forward in your program in a purposeful and powerful way that is authentic to you, and honors your gifts and talents. The vision board resources are designed to help you powerfully bring your business and life dreams into manifestation. The resources are not only beneficial for you to use during your program, but after your program as well. The inspirational audio and worksheets are designed to help you excel during the program and after the program as well. The audio addresses you unleashing the inner power to become a better version of yourself. The worksheets cover topics like breaking habits, creating new habits, creativity, focus, motivation, organization, mindfulness, positivity, productivity, and time management. The journal pack is for you to use during or after your program has ended. It is great for you to journal your process, affirmations, goals, and other things that can contribute to your succeed during and after your program has ended. This program includes daily or weekly personalized e-mail coach mentoring from the trainer. You may ask any questions related to your weekly program materials, coaching skills, business development or your assignments. The trainer will respond with a specific and personalized response. You will receive specific feedback customized for your specific needs. The trainer's reply will be personalized, clear and concise. She will respond to you with ideas, feedback and suggestions. She will work with you to implement strategies and help you stay on track. She will assist you with accomplishing your goal of coach certification, and being a successful coach. This personalized e-mail coach mentoring program is a perfect companion to the online/recorded classes to help enhance your learning. Your live coach mentoring sessions can address any questions you have regarding your program. This is also good for private training needs, brainstorming, sharing ideas and to receive any needed inspiration or support. The coach mentoring sessions are held for 20 powerful minutes. You will be amazed at how much can be accomplished in 20 laser focused minutes. The coach mentoring sessions are held over a telephone conference line, and must be used during your training and certification program. Your sessions must be scheduled Monday-Thursday between the hours of 9 a.m. and 3 p.m. (EST). Sessions must be scheduled in advance. You will have an opportunity for supervised practicum sessions, with you and your practice client. This is a priceless benefit. You will have an opportunity to privately receive feedback on your coaching sessions. This will help you to enhance your coaching skills, and have an opportunity to gain coaching confidence. Sessions must be scheduled Monday-Thursday, between the hours of 9 a.m. and 3 p.m. (EST). sessions are held over a telephone conference line. During your training program you will have an opportunity for the trainer to listen to two recorded practicum sessions with you and your practice clients (optional). The trainer will provide you with specific, supportive and detailed feedback regarding your coaching skills. You will have access to continued unlimited e-mail mentoring for six months after you graduate. This is to ask any questions, discuss strategies, and to provide you with any needed additional support, motivation and guidance from the trainer, to enhance your coaching success. Each training program comes with the bonus online resource center. Your online resource center includes the online resource library that is content packed with information to assist you with your coaching success. This area is also awesome for your continuing education needs. Also included in the online resource center is the business resource vault. The business resource vault is packed with business tools designed to help you run your business more effectively. There are resources that you can customize with your name and business information. *Please click on the following link to review the class start dates Class Start Dates. The online/blended class has limited space for 8 students only. This is so that you can receive the personalized attention you deserve. Please read the certification requirements below. You mush have a High School Diploma or G.E.D., and understand the English language (Our trainer only speaks English, and materials are in English). Satisfactory completion requires, completion of the reading of modules and achieving at least an 80% on the open book final exam. Your completed assignments are to be e-mailed to your trainer. If for any reason you don't pass the final exam you will receive a complimentary one-to-one training call. During this call the trainer will work with you privately to offer a training review, and to answer any additional questions you may have. You will then be eligible to retake the final exam. Our exam does not cover anything that is not in your training materials. As a coaching student to further demonstrate mastery of your coaching skills, you are also required to submit a coaching log documenting at least 25 practice coaching hours (the coaching log is provided to you). Your practice hours can be paid or pro-bono. You can submit practice hours from clients, family, friends or co-workers. Your assignments (except the final) are graded on a pass or non-pass scale. If you complete all of the assignments satisfactorily then you will receive a pass, if you don't then you will receive a no-pass. After you have successfully completed your training, and your balance has been paid you will receive your certifications via postal mail within 3 weeks. Once you have successfully completed the program you will be awarded a certificate certifying you as a Certified Life Coach. You will also be able to use the CLC designation, and the designation associated with your advanced certification.